Sharon Chang, thank you for your EXCELLENT post, which I will be using in my INTRO SOCIOLOGY class and my RESEARCH METHODS courses here in Canada come fall 2013. And thank YOU for spreading the word. This is an issue that is very near and dear to me. Heartbreaking to think how early our children are indoctrinated, but heartWARMING to know we can make a difference. Together our single acts will hopefully amount to a big impact. Hi Stephanie. You’re right. There’s still so much under-representation even in the CCBC report. Where ARE the Arabs? Why do we even lump Arab under “Caucasian” anyway? 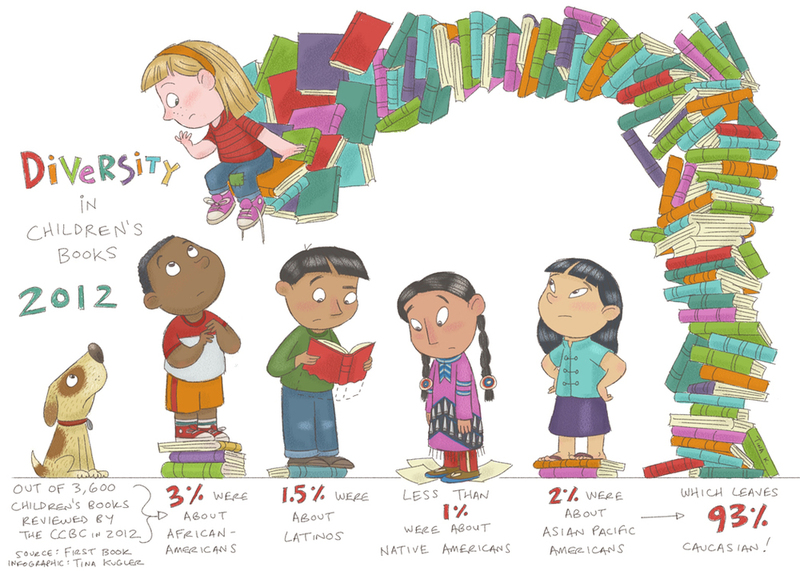 And where are the books multiracial children can relate to? Children’s book publishing has a lot of catching up to do. Love InCultureParent btw. Have been following on FB. Interestingly, in our survey of a large group of self-defined white college students, a very small percentage (around 10 or so percent) viewed “Arab Americans” or “middle Eastern Americans” as white. Sharon, thanks for the great post. That is one of your very best posts. Clearly, there is a major book there, or major journal article at least , for your field. « Illusions of Meritocracy: Does It Favor Certain Groups?